One of my favorite plants is either highly versatile, or very confused. On the one hand, professional herbivores like rabbits and deer refuse to even touch it, but many people, myself included, will gladly eat it every day it is available. While contacting it is painful, it has been proven to relieve certain chronic pain. It is steeped in over a thousand years of folklore, at one point imbued with the power to cleanse away sin, yet medical science recognizes it as a legitimate remedy for many disorders. 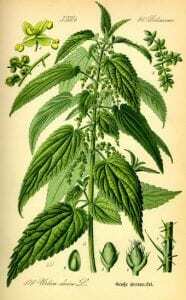 Some gardeners consider it a bothersome weed, but others actually cultivate it. » Continue Reading. Another regional attraction has just opened, and for the next few weeks you can see the show at innumerable open-air venues across the Northeast. 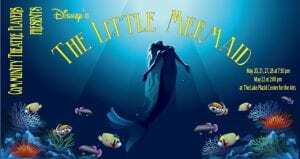 The performance is free, although only matinees are available. The new event is the blossoming of a widespread, though strangely little-known, early-flowering plant. It is either a small tree or a shrub, depending on who you ask, which makes me wonder if it’s hiding something. In fact, this thing has more aliases than one of America’s Most Wanted. 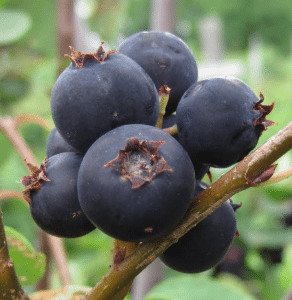 Variously known as serviceberry, shadbush, shadwood, shadblow, Saskatoon, juneberry and wild-plum, it is a small-to-medium size tree that also answers to amelanchier canadensis, its botanical name. Of those options, I prefer juneberry even though its fruit may ripen in early July in northern New York State. » Continue Reading. ADK Restaurant Week kicked off last weekend in Lake Placid with 25 fine dining establishments offering prix-fixe menu with prices of $15, $25, $35 or $55. The special 10-day event wraps up this weekend and there are still wonderful menu options to explore with added benefits such as signature cocktails and beer pairings. I like the simplicity of a three-course meal at a fixed price, once in a while. It gives the chefs room for creativity and a price point for the customers. » Continue Reading. April showers bring May flowers, but not all posies are a welcome sight. 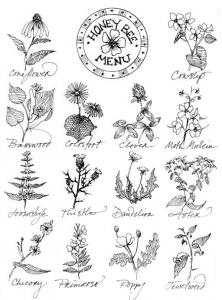 Although it is quite possible they arrived on the Mayflower, dandelions do not get the esteem they deserve as plucky immigrants that put down firm roots in a new land, or as a vitamin-packed culinary delight, or as a multi-purpose herbal remedy. 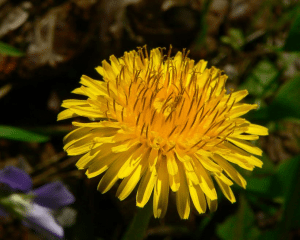 On this latter point, dandelion is so well-respected that it garnered the Latin name Taraxicum officinale, which roughly means “the official remedy for disorders.” There are many reported health benefits of dandelion, including as a liver support and for alleviating kidney and bladder stones, as well as externally as a poultice for skin boils. I don’t pretend to know every past and present medicinal use of the plant, and I strongly recommend consulting a respected herbalist, as well as your health care provider, before trying to treat yourself. » Continue Reading. Some years sugaring season goes by the book, which is to stay things starts cold, and over the course of four to six weeks spring arrives gradually and consistently. In such a scenario, the syrup usually starts out light colored and sweet, then as the weather warms and the microbial load in the sap increases, the color gets progressively darker and the flavor more complex. (What’s happening is the microbes are converting the sucrose in the sap to invert sugars, which leads to more caramelization and a different flavor profile.) Around the time the buds break, the biochemistry of the sap changes and it starts picking up some sometimes nasty off-flavors. Then there are years like this, which don’t follow the script. I make syrup in southern Vermont, where we saw highs spike up into the seventies and lows plummet into the single digits. While the syrup color sort of tracked with the crazy temperatures, our last boil of the year produced syrup that had a light amber color and a dark, late-season flavor that left a weird aftertaste in your mouth. » Continue Reading. While many people might be familiar with store bought European hazelnuts, or the popular spread Nutella which is made from hazelnuts and chocolate, the American hazelnut is also a tasty treat if you are lucky enough to beat the birds and other critters to it! 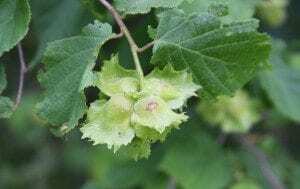 The ½” edible nuts ripen in the fall, but the flowers typically bloom in April. » Continue Reading. A Paul Smith’s College professor and his student landed a new peer-reviewed journal article in the international scientific journal Agroforestry Systems. Joseph Orefice, professor of forestry, and Leanne Ketner, a senior majoring in integrative studies at Paul Smith’s, investigated the use of silvopasture on farms in the Northeastern United States. The practice, which had never been documented in the region before, integrates livestock and trees within the same pasture, providing shelter and forage for the livestock while maximizing the use of the trees as productive and healthy crops. » Continue Reading. The King’s Garden at Fort Ticonderoga will present its Fifth Annual Garden & Landscape Symposium on Saturday, April 9, 2016. 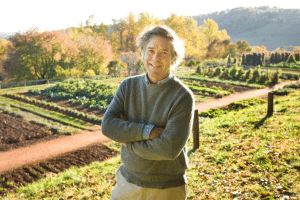 This day-long symposium, geared for both beginning and experienced gardeners, provides insights from garden experts who live and garden in Upstate New York and Northern New England. This one-day program focuses on practical, easy-to-implement strategies for expanding and improving your garden or landscape. The programs are offered in an informal setting that encourages interaction between presenters and attendees. » Continue Reading. 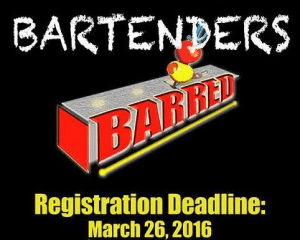 Bartenders from across the Adirondacks will shake things up at the 2nd annual BARRED! Adirondack Bartender Challenge, presented by Happy Hour in the High Peaks and Basil & Wick’s. Inspired by the reality TV show CHOPPED, bartenders face off to create a winning cocktail utilizing a mystery basket of ingredients. Contestants have just seven minutes to make, name, and present their drink while hometown fans cheer them on. » Continue Reading. 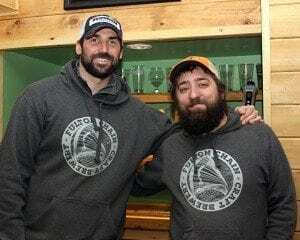 A brewery double-header in the Old Forge and Tug Hill regions covered nearly 300 miles and 12 hours, counting stops and tastings. We couldn’t waste the hour-and-a-half between interviews so decided to use our time wisely and snag an elusive Happy Hour Passport stamp (and a refreshment) at the Big Moose Inn in Eagle Bay before venturing on to BarkEater Craft Brewery. Our connection to Lowville featured a road so desolate that the disappearance of electrical service was noted for a brief period. 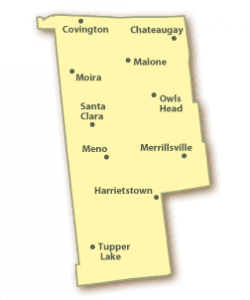 As homes began to reappear on the 13-mile stretch of Moose River Road, we arrived at Turin. » Continue Reading. The sun is climbing higher each day and I know that it won’t be long until my honey bees are out seeking nectar and pollen. From early-blooming red maple trees. Then sugar maples, apple trees, dandelions. From blueberries, raspberries, and blackberries. From clover, staghorn sumac, and basswood trees. From milkweed in the abandoned field. From the coneflowers, thyme, and sage in our perennial garden. From asters and goldenrod; jewelweed and Japanese knotweed. For a bee, the warmer seasons are a Mardi Gras parade of nectars. The European honey bee has been in North America almost as long as the Europeans who brought it. It is a miracle of nature, pollinating plants with abandon, while turning their nectars into one of nature’s most delicious substances. 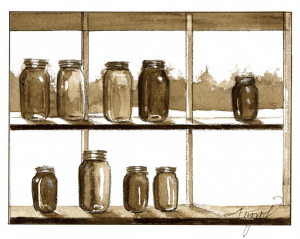 In a good year a hive can produce 60 pounds or more of surplus honey. But mileage may vary, as they say. Much about production, and flavor, depends on weather and location. » Continue Reading. There is nothing better than a road trip on the Happy Hour Trail to reaffirm our belief that you always meet the nicest people in the Adirondacks. A full day of travel to interview and tour two breweries in the Old Forge and Tug Hill regions covered a lot of ground. Venturing through Eagle Bay, Old Forge, and finally to Lowville, we were met with happy, friendly faces at every turn. 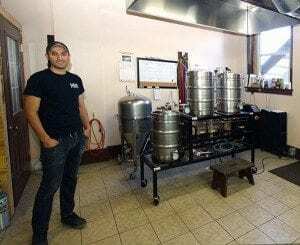 Without exception, whether they held the door for us at a convenience store or took time from their busy schedules to share their knowledge of brewing, every person we encountered was upbeat and friendly. Smiles on a beautiful day in the Adirondacks are definitely contagious. » Continue Reading. 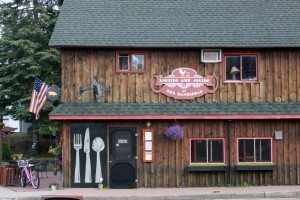 As a foodie, occasional restaurant reviewer, and newly minted full-time resident of the Adirondack Park, I plan to really delve into the region’s many culinary heights. Nearly two years ago I visited Liquids and Solids in Lake Placid, which was relatively new on the scene. As I wrote at the time, I was impressed with their creativity and ambition. So what better place to start my latest Adirondack food tour than a return visit to see how they have come along? » Continue Reading.